A CHARITY set up to help military personnel make the transition to civvy street is benefitting from a top designer’s sporty new set of jewellery. Rugby for Heroes, which was formed by professional players and offers personal and financial support to those leaving the Services, will receive 25 per cent of the proceeds from each sale of Tresor Paris‘s Rugby for Heroes Collection. Comprising iconic rugby balls incorporated into bracelets and necklaces, the collection includes pieces suitable for men and women and has already been seen being sported by the charity’s patron Mike Tindall and his wife Zara Philips. 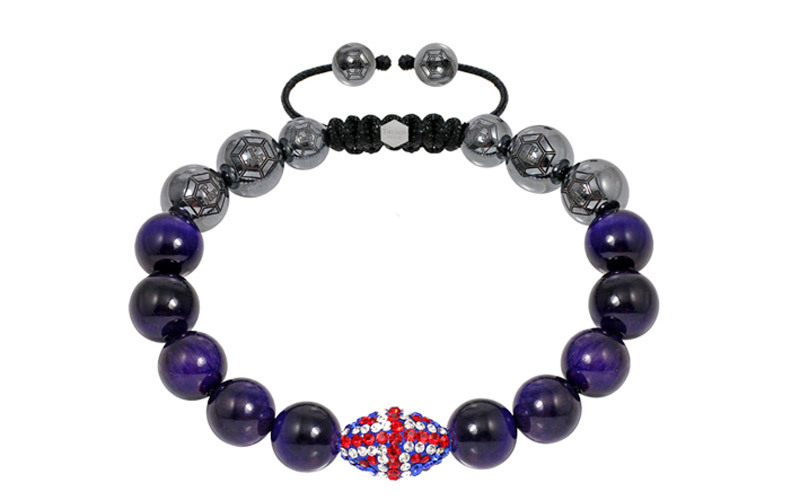 The Rugby for Heroes bracelets are available in both muted and masculine colours – including a Great British union flag design – and cost £49 each. The simple, delicate necklaces are priced at £24 without stands or £29 with stands. The entire range can be viewed and preordered via Tresor Paris’s website.